Sarah Wiseman gallery is proud to introduce the Cornwall-based painter Una d’Aragona. 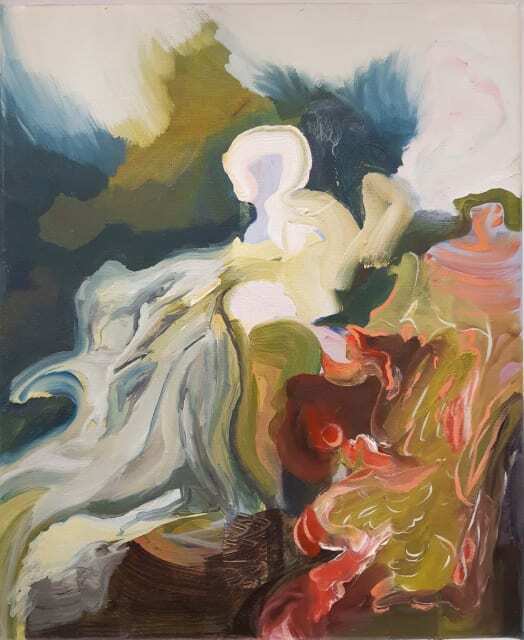 Working primarily in oil, Una uses painterly marks to investigate memory, and how it shapes our lives. Referencing historical painting, song lyrics and the human figure, she layers her canvas in semi-abstracted forms, reflecting on the non-linear accumulations of images that emerge, distort or fade. A collection of Una d'Aragona' work will be on display at the gallery from 12th February.